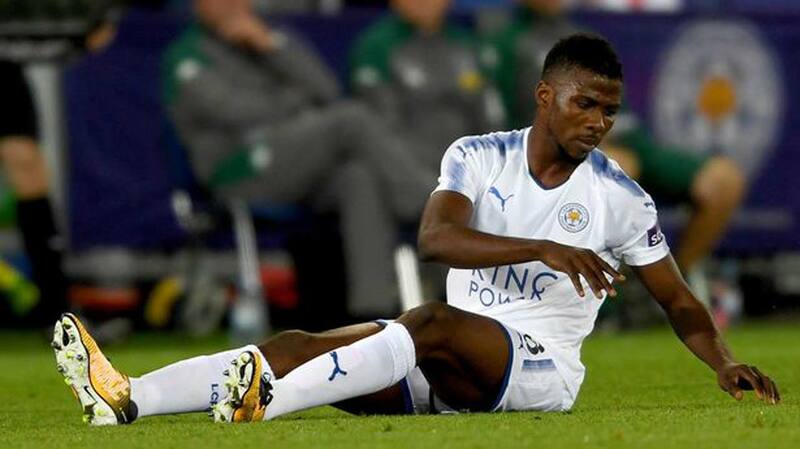 Fresh from his heroics in the Carabao Cup, Super Eagles’ striker, Kelechi Iheanacho has been handed an opportunity to return to Manchester City by the draws made yesterday. The fixtures also present some interesting match-ups involving Nigerian players. Kelechi Iheanacho, Wilfred Ndidi and Ahmed Musa’s Leicester City will host Tosin Adarabioyo’s Manchester City at the King Power Stadium. Iheanacho scored two goals for the Citizens in the League Cup before transferring to the Foxes. The only non-Premier League team left in the competition Bristol City have been paired with holders Manchester United. Young Nigerian duo Tosin Kehinde and Matthew Olosunde will be hoping to make their debut against The Robins. Victor Moses’s Chelsea will host Jordon Ibe’s Bournemouth at Stamford Bridge, the Super Eagles star is expected to have fully recovered from a hamstring injury by the time the game is played. The right wing-back has racked up 16 appearances in the League Cup, scoring four goals while providing four assists.Arsenal’s Alex Iwobi and Chuba Akpom’s have been paid with London rivals, West Ham United, who surprisingly knocked out Tottenham in the last round of the competition.The final eight teams will play their quarterfinal ties in the week commencing December 18.